How can folks get up every day and go to work in book publishing? I ask myself that very question about five times a week. Yet despite frequent doomsday forecasts, the industry lumbers on. Perhaps e-books will be either the deliverance or the destruction of the business, but for now they are a mid-sized Schumpeterian disruption. 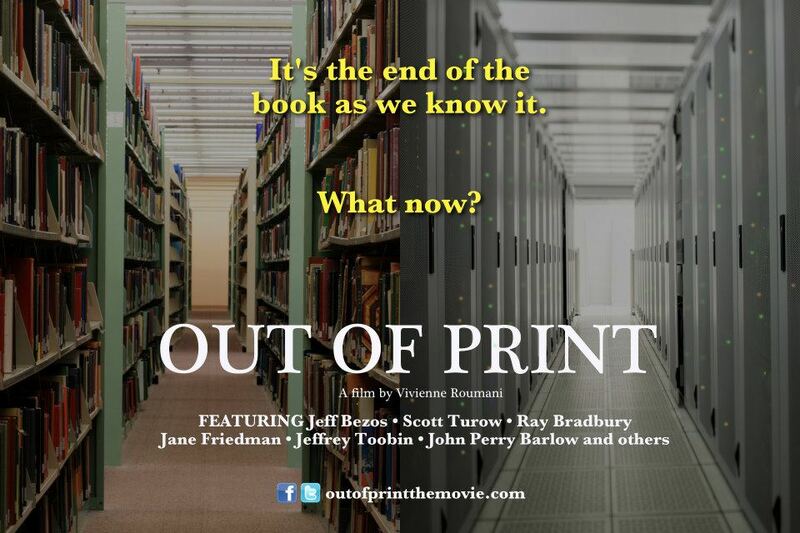 Vivienne Roumani takes stock of what it all means in her documentary Out of Print (trailer here), which screened as part of the Tribeca Talks post-screening discussion series at the 2013 Tribeca Film Festival. At the heart of OOP and Ben Lewis’s thematically related Google and the World Brain lies the question whether the digitization of knowledge is a democratizing or monopolistic endeavor. The jury is still out, but in the case of the big G, you really have to wonder. Roumani touches on the Google settlement, but if there is a corporate bogeyman in OOP, it is Amazon’s Jeff Bezos, at least when she talks to Authors’ Guild president Scott Turow. 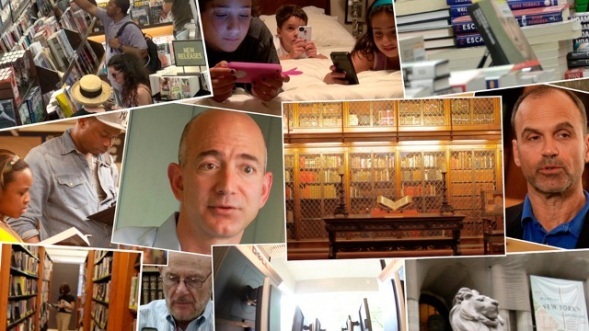 Is the giant e-tailer cheapening the value of e-books through its pricing and merchandizing? Turow certainly has thoughts on the matter. As an interview subject, Turow is an intelligent and authoritative figure. For his part, Bezos seems to be trying to humanize his image, which is a shrewd long-term strategy, in marked contrast to the deafening silence from Google in Lewis’s doc. Indeed, Roumani gained entrée to a number of highly influential market leaders and thinkers, even including the late great Ray Bradbury (appearing primarily as an expert on libraries, but adding unspoken significance to the discussion as the author of Fahrenheit 451). There are a number of issues raised by the film that were largely glossed over by the post-screening experts, such as the fundamental issue of storage. As Roumani points out, DVDs and hard drives have a life expectancy that can be measured in years, not decades. Simply assuming someone will figure out something more lasting is not a great strategy. Yet for the filmmaker and at least of her fellow panelists, the effect of the digital revolution on reading habits is even more significant. Some seriously wonder whether the majority of kids today will have sufficient interest and attention to read a full book from the beginning to the end. Roumani nicely balances prognostications of doom and gloom with optimism for the shape of things to come. At fifty-five minutes, Out of Print is a well paced and organized overview of an industry in flux and the wider resulting social and cultural implications. It is a handy primer, but Google and the World Brain remains a more in-depth and pointed examination of the same fundamental issues. Given its timeliness, it should draw considerable interest on the festival circuit and merits public broadcast consideration.